Statistics reveal that a mere 10 percent among the university-age population in India has actually any access to education beyond the higher secondary level. In such a scenario, it is obvious that university and college education is a distant dream for the youngster in India. Unlike in the South where, the states pride in offering the best opportunities for socially inclusive access to higher education including technical education and education in English medium, the story is different in other parts of India. At such times, the distance education programmes have come to the rescue of many aspiring youngsters in the nation. Educational experts today believe that this mode of education is the best to increase the gross enrolment ratio in higher and university education which is aimed at 30 percent by 2020. Today, the responsibility of undertaking the regulatory functions of distance education in the country has been transferred to University Grants Commission (UGC) from Distance Education Council (DEC). It is under the UGC directive that universities and further institutes can offer courses that must follow certain standards and guidelines for the same. 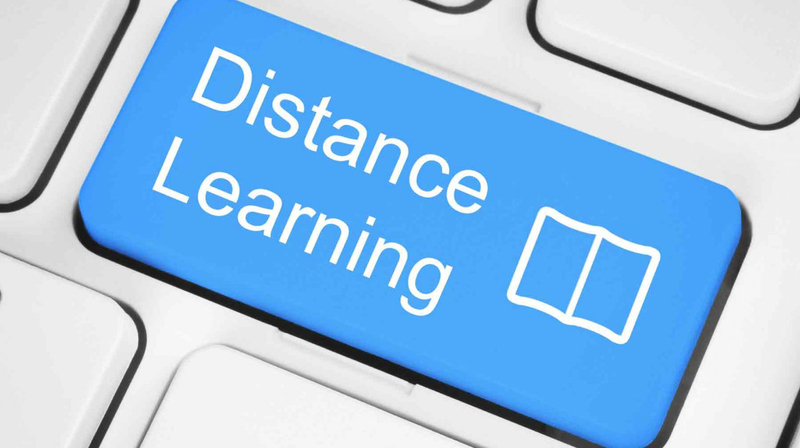 The distance learning model is supported through national open universities, state open universities, dual mode universities and autonomous institutes that offer distance learning programmes to students of all age groups. Here, the best part is that irrespective of age, caste or creed, any aspiring student can enroll to educate himself and herself without having to worry about coming for classes. Under this mode of study, students are not dependent on a teacher being present in a classroom setting. Mode of instruction is usually English and provides complete flexibility with regards to timing of teaching and learning. It also a great way to self learn that is self paced and has to be self motivated. Enrolment fees are nominal and course material is usually provided by the institution itself. Course material is supplemented with contact classes in a network of centres across the country. Some institutions also provide radio classes for which schedules are shared with students via email and snail mail. The top five distance education universities are Indira Gandhi National Open University (IGNOU) in New Delhi, Annamalai University in Tamil Nadu, The Sikkim Manipal University, Symbiosis Centre for Distance Learning (SCDL) at Pune and Punjab Technical University (PTU) in Punjab. The distance education dream has become even a more promising reality with the digitalization wave in the country. For starters, country's largest software exporter TCS has recently teamed up Andhra University School of Distance Education to transform it into a digital varsity. So there is so much to look forward to the knowledge seekers. For another, now that content and lectures are available online, students are able to save a lot of time in travelling and save time on photocopies, book notes etc. The physical distance barrier has been completely removed. Students can access necessary examination and modules related information on online university portals, fill in examination forms, deposit fees, submit assignments and do much more. All these advantages are bettering the prospects of students across the country. In India today, with the constant evolution of technology, the lack of a quality education barrier is gradually being eliminated and the future is definitely brighter.